Enjoy the top 31 famous quotes, sayings and quotations by Patrick Soon-Shiong. We're really going after truly creating sustainability of a disease-free state, creating a complete system for managing cancer patients for life, so that you can manage from onset of disease all the way through. Baseball is like cricket, and I grew up in a country where they had cricket. 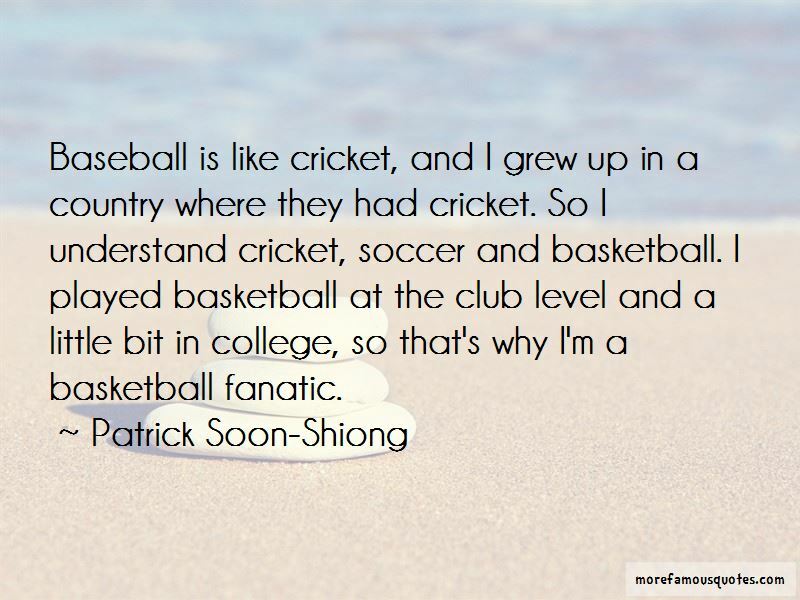 So I understand cricket, soccer and basketball. I played basketball at the club level and a little bit in college, so that's why I'm a basketball fanatic. We need to think of chronic disease, hypertension, cancer, like H1N1. In fact, there's an epidemic of chronic disease. In South Africa, being Chinese meant I wasn't white and I wasn't black. I trained in Baragwanath Hospital, the largest black hospital in South Africa. That was around 1976, the time of the Soweto Uprising, when police fired on children and students who were protesting. I was part of the group of interns who volunteered to treat them. I'm truly passionate about basketball. I'm not as passionate about baseball as I am about basketball, but I watch baseball and I watch football. I love sports in general. Cancer is really a slew of rare diseases. Lung cancer has 700 sub-types, breast cancer has 30,000 mutations which means that every cancer in its own right is a rare disease. Sharing data globally in this context is really important from a life-threatening perspective. 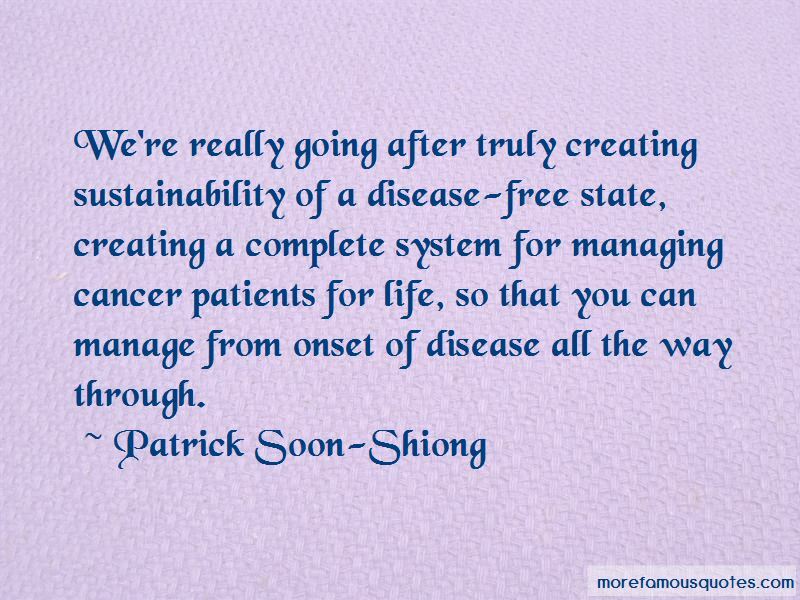 Want to see more pictures of Patrick Soon-Shiong quotes? 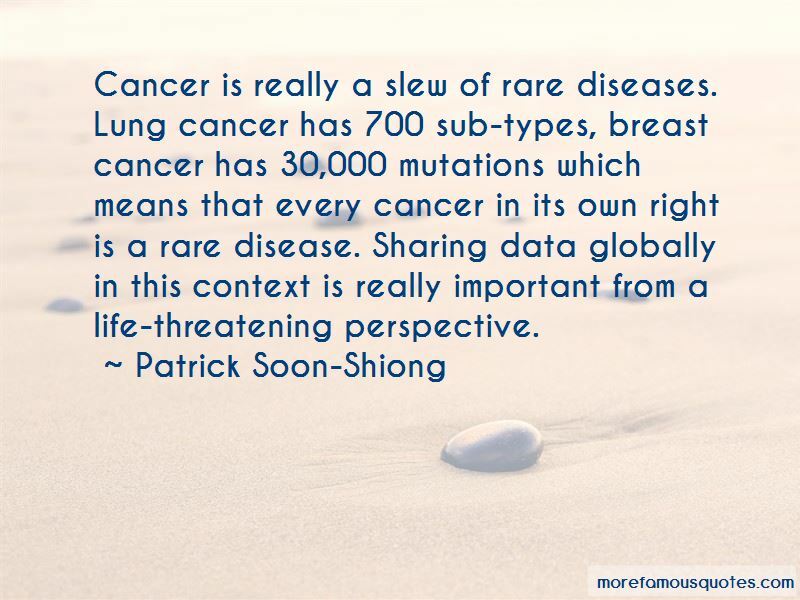 Click on image of Patrick Soon-Shiong quotes to view full size.